Malaysia's largest property developer aims to expand its footprint in Melbourne, Sydney. PROPERTY developer SP Setia Bhd is yet another Malaysian developer to make its presence Down Under, having purchased a piece of prime land in Melbourne, Australia and looking to capitalise on the growing apartment demand in the city. The developer picked up the largest undeveloped site in the central spine of Melbourne's central business district (CBD) last year and will turn it into a mixed-use development dubbed Fulton LN by 2014. Having tasted the opportunities in Australia, the developer aims to increase its property footprint in Australia, more so in popular cities such as Melbourne and Sydney. The plan for the first few years is to buy up land and execute projects that will provide quick turnaround and are easy to sell, says Setia (Melbourne) Development Co Pty Ltd chief executive officer Choong Kai Wai. Subsequently, the company will look at greenfield developments and execute township developments, as it has successfully done in Malaysia with prominent townships like Setia Alam in Shah Alam. Developers with the financial ability will take on such property projects with ease, considering that they now need to be able to partially cover development cost before banks agree to finance developers for these projects. “Traditionally, banks will lend to the property developer when roughly 60% of the development has been sold. But post financial crisis, not only must they secure that sales amount but the developer must be able to cover 30% of the construction cost before a bank lends,” he told Malaysian reporters last week in Melbourne on the company's Fulton LN site familiarisation trip. Choong adds that many developers are finding it tough to meet the latter condition imposed by banks, thus giving SP Setia an added opportunity to consider buying over projects that have already received the relevant approvals but have yet to be executed due to the existing developer's inability to finance the construction costs. He adds that Setia (Melbourne) is close to finalising its own financing facility for the Fulton LN project. Among the factors driving the Melbourne apartment market include the city's population growth, governmental policies and low apartment vacancy rates as well as strong rental demand. “Melbourne has demonstrated strong population growth compared with other Australian cities, with immigration driving the population growth a quarter of the people in Melbourne are born overseas. The city's population stood at 4 million in 2009 and is forecast to have 5 million people by 2026,” says Australian property consulting firm Charter Keck Cramer director of residential projects Sam Nathan. The local government is also pushing for long term inner urban development through policies with the hopes that 55% will be inner urban development and the balance will be fringe development. “The market is responding to government targets through natural maturity of the city. Melbourne's vibrant inner urban lifestyle precincts continue to strengthen, driving established housing to the point beyond affordability, creating opportunities for medium density development to be the conduit to future supply,” adds Nathan, who was present at the briefing. Since 1990, Melbourne has seen some 60,500 new apartments as at last year. “About 45,000 of those new apartments have come about over the last 10 years, with the Melbourne apartment market recording 16,850 new apartments as at year 2000,” says Nathan. The Melbourne apartment market has seen a consolidation of the CBD and central city region with a progressive market expansion into the middle suburbs. “The apartment supply at all Metro areas have historically been a small proportion of underlying dwelling demand and this dwelling representation is likely to rise as Melbourne consolidates, becomes more dense and affordability pressures mount on conventional housing forms,” he says. Another reason for the rise in apartment demand is individuals finding the fringe of the city being too removed from core activities. Over the past year, the underlying demand for apartments was some 26,500 units while the actual supply was 6,000, Nathan adds. Meanwhile, vacancy rates for apartments have been less than 3% since 2005 and rental growth is higher than inflation. “Vacancy rates have fallen under two percent over the last few years so this is a great market for owners and landlords,” says Nathan. For instance, an average apartment rental value in Melbourne's CBD stretching to St Kilda Road can fetch above A$350 for a single bedroom unit per week or A$500 for a two bedroom unit per week. Nathan adds that the Melbourne property market has not been a speculative market and should see long term stability. “There were a record number of apartments completed last year at some 8,000. We don't expect a spike in the property market as inevitably there will be some projects that get delayed, possibly due to tougher financing requirements,” he says. Melbourne, just as with other Australian cities, has seen demand for the apartment market grow due to changes in lifestyle and housing preferences. “The overall market has seen an increased acceptance of apartment living, due to changing household mix where singles and couples without kids are on the rise - as well as living costs are forcing people closer to work and social activity centres,” says Nathan. He adds that there has been a housing shortage in all Australian capital cities, giving rise to an affordability issue. However, this works in favour of the property developers over the medium to long term. With Melbourne's apartment market ripe for the plucking, SP Setia is well positioned to benefit from its first Australian development located in the northern edge of the CBD in Melbourne. The company, through its unit, Setia (Melbourne) plans to develop a mixed-use development that will not only offer apartments but also retail outlets. The one-acre site earmarked for this development was purchased at A$30mil and has a proposed gross development value of A$470mil. 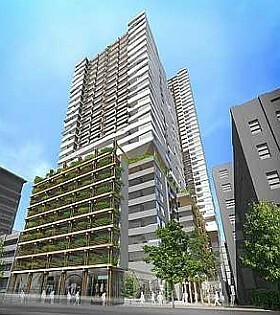 “The site is located within the education and market precincts of Melbourne's central business district. The apartment units target young Australian professionals, or double income individuals with no kids,” says real estate firm Hocking Stuart executive sales representative Paul Pfeiffer. Pfeiffer adds that the percentage ratio of owner occupancy against investors for such a property development would be a 60:40. Construction will commence next year and the development is expected to be ready by 2014. There will be two towers offering apartment units one at 28 storeys (107m) with 300 units while the taller tower at 44 storeys (150m) has some 400 units. The property has dual street frontage, with the first tower facing Franklin Street and two minutes away by foot from the Queen Victoria Market while the second tower faces A'Beckett Street and a five-minute walk from RMIT University. Most of the apartments will be one or two bedroom units although there will be units offering three bedrooms as well. Apartments start from A$370,000 for one bedroom at 45 sq m, A$515,000 for a two bedroom starting at 60 sq m and A$1.05mil for three bedroom dwellings starting at 114 sq m.
Pfeiffer says that these are dual key apartment units, therefore the buyer can choose to live in the unit and also rent out the other room, which essentially serves as a unit within a unit with its own key and facilities like kitchens and bathrooms. The apartment units in the first tower will be open for a preview to the Malaysia public next Sunday with the official launch to be held in September. Sales for the apartment units in the second tower should start in six to 12 months. Setia's Choong says that retail units will not be put on sale for now, as the developer would like to control the tenant mix in the development to ensure continued sustainability. Fulton LN is within walking distance of several universities and colleges such as Melbourne University and RMIT University. It is also close to Melbourne's central shopping centre and can be easily accessed by public transportation. “The size of Fulton LN's ground plan gives us the opportunity to ignite activity movement around the laneway with retail, restaurants and cafes,” Fender said. He adds that the design of Fulton LN incorporates one of Melbourne's most prominent features the laneway concept found all over the city. The natural-light filled Fulton Laneway will weave through the heart of the site linking Franklin and A'Beckett Streets, providing access to the variety of commercial and retail spaces offering sunlit terraces to both residents and visitors alike. Fender also says that Fulton LN will be aesthetically pleasing to the eye, with timber and green foliage used to conceal the building carpark's faade facing the streets. Aside from this, the development will also have a number of ecologically sustainable development initiatives to achieve a Green 4 Star Certified Rating, including bicycle facilities, grey-water recycling, water tank, natural ventilation, green wall and an energy rating average of six. The new merged Sunway entity will be among the largest property and construction players in the region, with more focus on overseas projects and branding, particularly in China and Singapore. The new Sunway entity, which is expected to be listed on the Main Market of Bursa Malaysia in the third quarter of this year, is the result of a merger between Sunway Holdings Bhd and Sunway City Bhd (SunCity). To recap, last November, a new company (newco) called Sunway Sdn Bhd proposed to take over Sunway Holdings and SunCity in a RM4.5bil deal via cash and share swaps. Shareholders of Sunway Holdings and SunCity agreed to the merger at an EGM on Wednesday. Based on the RM2.80 issue price of the newco, under the takeover deal, the newco would have a market capitalisation of RM3.6bil. Based on the financial results of Sunway Holdings and SunCity as at December 31, 2010, the newco would have a paid-up capital of RM1.29bil, assets valued at RM7bil and net debt of RM1.46bil. After the merger, Sunway Group founder and chairman Tan Sri Jeffrey Cheah and the Government of Singapore Investment Corp (GIC) will have a 45% and 12.5% stake respectively in the newco. Presently, GIC has a 21% stake in SunCity. The newco would also have a 37% stake in Sunway REIT, known as the largest real estate investment trust in Malaysia. Cheah says the merger is aimed at creating a bigger entity for business scale, realising synergies between the group's property and contruction arms, and enhancing the brand of the Sunway Group. “With a larger company and a stronger brand, I am confident we will be able to gain more partners in land development and construction projects,” he says. After the merger, the newco will have three business arms consisting of integrated property, construction and investment. The integrated property division (property development and investment, hospitality and leisure) is expected to be the biggest contributor to group revenue, with a 40% contribution. The construction (design and build, building and civil, geotechnical, mechanical and electrical engineering, precast) and investment (trading and manufacturing, quarry and building materials, healthcare) divisions are expected to contribute 30% each. Presently, the contruction division has an order book of RM2.4bil, with 70% of its projects in Malaysia, and the remainder in Abu Dhabi and Singapore. According to SunCity director (group treasury and corporate affairs) Chong Chang Choong, the cost savings and operational efficiencies from the merger could be significant due to lower borrowing costs, higher discounts in the procurement of building materials and better collaboration between the group's property development, design and construction arms. “The merging of treasury operations gives us a good platform to improve our credit ratings, and thus, we can tap the debt market directly and enjoy significant savings via lower interest rates,” he says. Also, under the merged Sunway entity, all future material procurement will be on a bigger scale and thus, the group can negotiate for better terms. Chong, who is also understood to be the chief financial officer for the newco, pointed out that synergistic benefits are not optimised under the present scenario where Sunway Holdings and SunCity are two separate listed entities. Cheah concurred, saying that in the past, there were inefficiencies due to work duplication and “turf protection” between the two sister companies. “Better collaboration between the group's property arms will result in reduced construction time and costs, better designs, improved development quality and higher margins,” says Cheah. The merger also marks a turning point in the group's project management and delivery capabilities, via its adoption of a virtual design and construction (VDC) software platform. Cheah says that using the VDC software will help the group to reduce project design faults as well as construction delays and costs. Cheah believes the Sunway group is the first property and construction company in Malaysia to use an advanced version of the VDC software, which is widely used in Germany and Sweden. The newco has a land bank of more than 2,200 acres with a total gross development value (GDV) of RM25bil. 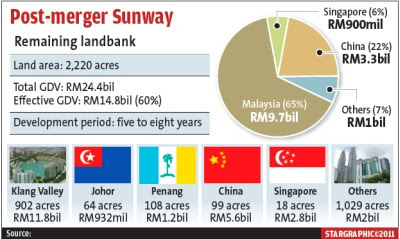 About 90% of the land bank, to be developed over the next five to eight years, is in Malaysia, with the remainder in China, Singapore, Australia and India. Operations and projects in China and Singapore are expected to contribute 30% of group revenue by 2015. In China, the Sunway Group is presently involved in joint-venture property developments in Jiangyin City (in Jiangsu Province) and the Sino-Singapore Tianjin Eco City. In Jiangyin City, the group, via a joint venture with Shanghai Guang Hao Real Estate Development Co Ltd, is developing a 1,200-unit condomimium project with a GDV of RM466mil. In the 7,500-acre Sino-Singapore Tianjin Eco City, the group is developing a 98-acre site which has a GDV of RM5.3bil over the next five to seven years. Cheah remains bullish on China despite concerns over its pace of economic growth, with data from the country's manufacturing and property sectors showing signs of a slowdown in recent months. He says China still offers huge growth opportunities. In Singapore, the group has been involved in residential developments with Hoi Hup Realty Pte Ltd since 2007. The GDV from ongoing projects in Singapore is in the region of S$1.67bil (RM4.1bil). Cheah says the group is looking at acquiring more land in Malaysia. In Malaysia, the 800-acre Bandar Sunway in Selangor is the crown jewel of the group's integrated township development. Cheah points out that Bandar Sunway was turned from a derelict mining land in 1986 to the present integrated development consisting of a shopping mall, theme park, hospital, hotels, universities and commercial buildings all managed by the group. He says he has received many offers to build integrated townships along the lines of Bandar Sunway in China, India and Vietnam but to date, no deals have been firmed up. Remaining developments in Bandar Sunway include villas, condominiums and a commercial precinct on a 123-acre site in Sunway South Quay with a GDV of RM5.2bil. The group is also developing the 23-acre Sunway Velocity Kuala Lumpur consisting of a shopping mall, hotel, shop offices and serviced apartments with a GDV of RM3.6bil. Another project to be launched in the near future is a 300-acre hilltop development in the 1,346-acre Sunway City Ipoh. Prices of landed properties, especially in the hot spots of Klang Valley, are going through the roof. Strong demand continues to push up already high prices, especially landed properties. Future generations will have to get used to living in a box in the sky. The past six months have seen a deluge of property advertisements in the Friday, Saturday and Sunday newspaper issues. There are eager buyers out there, still. And this interest will probably continue until the end of this year, notwithstanding the growing worries in Europe and the US and the bubble-like scenario in China and Hong Kong. When it comes to property investment, a buyer's first option will always be for landed units. But as a former head of mortgage of a local bank lamented, of late, launches of landed properties have been few and far between. They are either very pricey or out of the way from the mainstream city life (or both). But despite the issue of price and location, landed units continue to be popular. In April, the KL Kepong group launched the first phase of Bandar Seri Coalfields in Sungai Buloh, Selangor. About 40 units of 22 ft by 75 ft and 72 units of 24 ft by 75 ft double-storey housing priced from RM308,000 and RM348,000 respectively were put on sale. A total of 112 units were released into the market. It was so popular that the remaining 107 and 56 units of the respective sizes were soon put up for sale at increased prices starting from RM328,000 and RM368,000 respectively, representing an increase of 6.5% and 5.7%. Altogether, a total of 340 units were launched on two separate occasions in the first phase sale of this new township. Over in Setia Alam, Shah Alam, one of Malaysia's largest developers, SP Setia Bhd, launched double storey cluster housing (30 ft by 55 ft) last Saturday, priced from RM568,000. A ballot was organised for the 116 units. Over in Klang, IOI Properties sold about half of its 128 units of freehold two-storey terrace houses in Bandar Puteri, Klang priced from RM468,800. This project was launched in April. The unsold ones are located close to the highway or junctions. Over in Desa ParkCity, despite a price tag of RM2.8mil, The Mansions by Perdana ParkCity Sdn Bhd proved to be highly popular. A ballot was also organised for this. Although they were sold as terraced link houses, they were not of the same category as those launched in Sg Buloh and Shah Alam, as the ParkCity offerings have built-ups averaging from 5,000 to 6,000 sq ft. They have the space of semi-detached houses although they were sold as linked terrace housing located in a niche housing development. A single feature linked all the above four launches; they are landed units and other than the Klang project, they were all sold in a jiffy, despite the high price tag and the fact that some of these properties are located in Sg Buloh. When it comes to the sale of landed units, the strategy taken by developers today is different from that used several years ago. Today, a small number of units are released, which gives the developer the opportunity to increase prices if the demand is good. Gone are the days when developers of townships launch 800 units of landed houses at one go with a single price structure. KL Kepong's Bandar Seri Coalfields is a township of about 1,000 acres. This will take years to complete. SP Setia's Setia Alam is also a township of considerable size. Over at ParkCity, at less than 500 acres, it is not a township but a small community that will have a population of about 7,000 in the future. However, other than using a different strategy in order to have better profit margins on the part of developer, there is also the need to look at quality as cost of construction increases. Buyers will have to look out for that. There are a lot of things which house buyers do not see when they view a dressed-up' show unit. These include the wiring, plumbing and what's inside the plastered walls. Because of the buoyant demand today, there is the temptation to cut corners on the part of the developers as they go for better profit margins. However, there are also developers, who, having made their name and created a brand, will provide quality, which they charge buyers for and this is fair. From a consumer's point of view, it is better to be charged for a product or service of quality, than to have to pay for the lack of it later. Once the price for landed units goes beyond the means of most, buyers will then consider high rise condominium units. Already, we are seeing quite a few very high end, high rise condominiums being promoted today. In Taman Tun Dr Ismail, Kuala Lumpur, a project will be launched soon, where a 1,500 sq ft box in the sky is expected to cost RM1.9mil; fully-furnished right down to the built-in microwave. While all of us have seen the prices of landed units surge in the last 18 months, the time may have come for us to see prices go up for high rise condominium projects too. A condominium project, with units averaging 2000 sq ft in Segambut Dalam, with high-tension cables splicing across half of the project and the NKVE at one end, were quicky sold at a price averaging half a million ringgit. The finishing and the sanitary and plumbing system were not of a high quality either and little can be said about the location. Just because of the sharp demand for properties and as landed units in the Klang Valley become scarce, it is hoped that the quality of construction and materials used will not be compromised, both for landed and high rise residencies; especially, when the residency comes in a box in the sky. Assistant news editor Thean Lee Cheng believes that quality workmanship and after-sales service are crucial if the property sector is to set new benchmarks. Singapore-based Eagle Indo has purchased the 36-storey building from Jeddah-based Saudi Economic Development. Kuala Lumpur: Singapore-based Eagle Indo Pte Ltd has bought Wisma Goldhill office building on Jalan Raja Chulan for an estimated US$57.4 million (RM174.5 million). The 36-storey building was sold by Jeddah-based Saudi Economic Development Co (Sedco), 11 years after it had acquired it. Sedco had then paid RM115 million for the building. 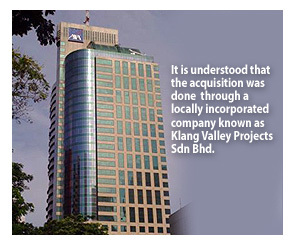 It is understood that the acquisition was done through a locally incorporated company known as Klang Valley Projects Sdn Bhd. Wisma Goldhill, which sits within the Golden Triangle, is located next to Menara Boustead and opposite Menara ING. According to sources, the deal for the sale was completed on Wednesday. Attempts to contact real estate adviser DTZ in Malaysia failed. DTZ, in a report from Singapore dated April 2011, said that it had "brokered" the sale between the parties. Wisma Goldhill, completed in 1993, was developed by Singapore-based Goldhill Group. The building, with a total built-up area of 444,000 sq ft and net lettable area of 270,000 sq ft, has some 270 car park bays. 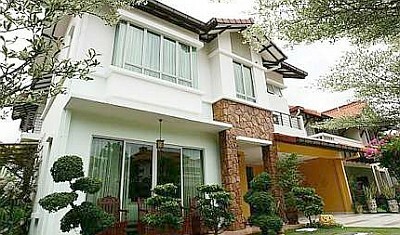 Major tenants at Wisma Goldhill include Bank of America Malaysia Bhd, KAF Discounts Bhd and Thai Airways International. Meanwhile, Sedco has other interests in Malaysia. It owns 24.58 per cent in Gefung Holdings Bhd via its affiliate Pacific Quest. Gefung is a company which processes, trades and provides contract workmanship of high-quality marble and granite slabs. Recent commercial transactions within the Golden Triangle in the past year include the sale of Menara Pan Global to Kwong Hing Group. PanGlobal Bhd sold a building located off Jalan P Ramlee for RM160 million. Another deal that made history, with the highest price per sq ft ever paid for a piece of land in Kuala Lumpur, was the sale of vacant land for RM7,209.80 per sq ft by Millenium & Copthorne Hotels plc. Urusharta Cemerlang (KL) Sdn Bhd bought a total of 29,127 sq ft of the land on Jalan Bukit Bintang for RM210 million. PETALING JAYA: The Employees' Provident Fund (EPF) has entered into a joint-venture agreement with Singapore's GuocoLand group to develop a piece of land for mixed-used development above Singapore's Tanjong Pagar MRT station. A statement from GuocoLand Ltd said the agreement was for the development of a piece of land at Peck Seah Street and Chon Guan site, known as the Tanjong Pagar White Site. The EPF purchase and 20% joint-venture involvement in the upcoming S$3.2bil mixed-use development marks another milestone for the pension fund which has been on an acquisition trail since unveiling its interest in acquiring property assets since August 2010. In 2010, the EPF announced that it had allocated 1bil for property purchases. The fund has so far bought three in Britain, totalling 486mil. But merely buying properties for their yield is not the EPF's strategy. CEO Tan Sri Azlan Zainol said about a month ago that the fund would like to actively drive some of its investments in property and banking. This joint venture with GuocoLand will be one of them. The objective is to actively drive an investment, in this case property development. The aim is to diversify its income, not just from investment, but also to be an active partner in the business. As it is, it is getting yields of 5.6% from its British investments. As for this Singapore joint venture, it would have a commercial component, a hotel and residential development, the statement said. The stake is estimated at S$640mil. GuocoLand units will hold the remaining 80%. GuocoLand won the 99-year leasehold plot in a government land tender in November last year with its offer of S$1.708bil or S$1,006 per sq ft per plot ratio. The S$3.2bil development cost includes the price of the land. The acquisition of the site between GuocoLand and Singapore's Urban Redevelopment Authority was completed in February this year. Three wholly-owned subsidiaries of GuocoLand Singapore Pte Ltd will undertake these developments. Belmeth Pte Ltd will undertake the commercial component, Guston Pte ltd the hotel project and Perfect Eagle Pte Ltd the residential component. Three EPF subsidiaries have been set up for the purpose. These are Kwasa Singapore Trio Pte Ltd, which will undertake the commercial component with Belmeth, Kwasa Singapore Duo Pte Ltd with Guston for the hotel project and Kwasa Singapore Solo Pte Ltd with Perfect Eagle to build the residential component. GuocoLand is required to allocate at least 60% of the maximum 1.7 million sq ft gross floor area to offices and another 10% for hotel use. In line with this, the development will potentially feature over a million sq ft of grade A office space, a five-star hotel and retail space, as well as Singapore's tallest ever residences, which will reach a height of 280m. The entire development would be completed in 2015 or 2016 but residential units could be launched as early as 2012, GuocoLand said in February. The developer has also appointed Skidmore, Owings & Merrill (SOM) as the project's architects. SOM is the firm behind the world's tallest building, Burj Khalifa in Dubai, and the upcoming One World Trade Center in New York City. The firm also designed Singapore's Changi Airport Terminal Three. AMCORP Properties Bhd, through subsidiary Living Development Sdn Bhd, has proposed to buy 30 retail lots of Amcorp Mall, 10 office lots within the mall, and the nearby office buildings, seven business suites of Menara Melawangi and over 1,000 parking bays for RM75 million from Melawangi Sdn Bhd. It told Bursa Malaysia yesterday that the proposal will provide it with stable and sustainable income stream as it expects good cash flows from the property. The property is located in Petaling Jaya and has enjoyed high occupancy rates, Amcorp Properties added.